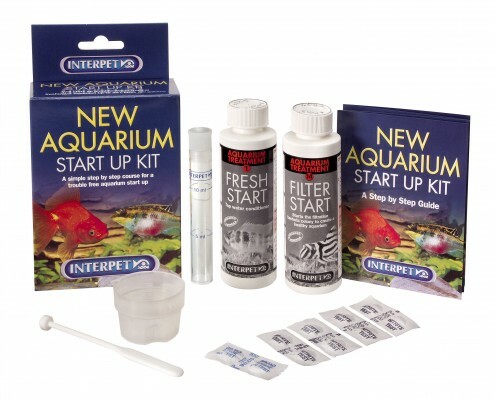 The early days of a new aquarium can create problems. 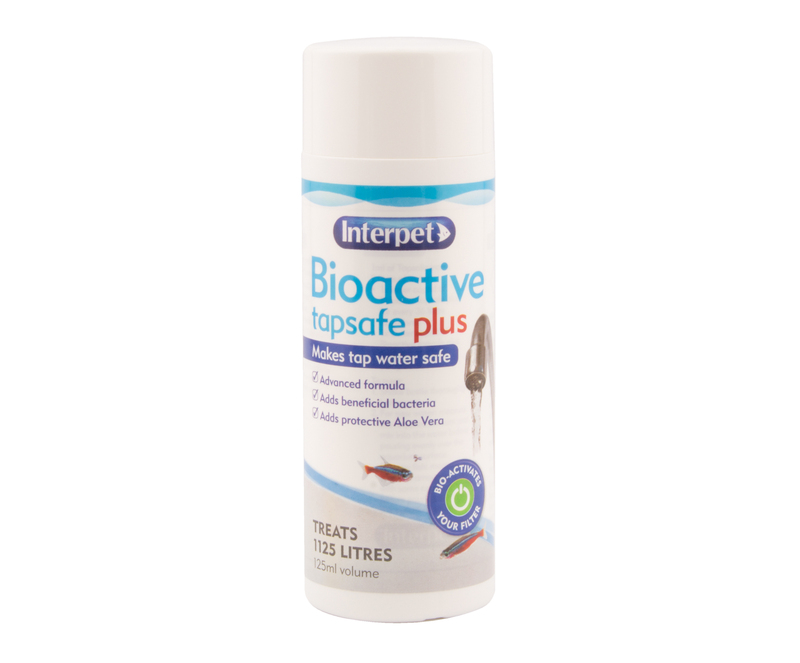 New Tank Syndrome can lead to fish disease and death caused by a lack of filter bacteria and harmful minerals in tap water. 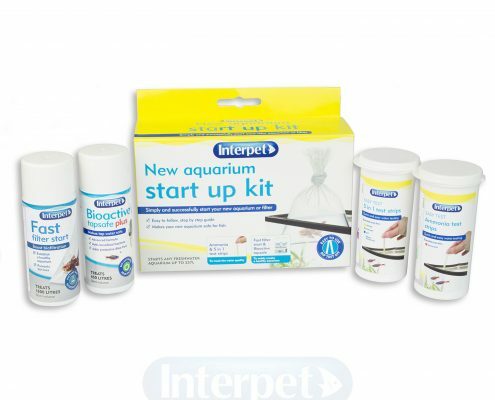 The New Aquarium Start Up Kits (2018 pack) includes Bioactive Tapsafe Plus, Fast Filter Start and Complete Dip Test Kits which include: 5 x Ammonia test strips and 10 x 5-in-1 test strips and a guide to walk you through the first 28 days of a new aquarium. Once you have your aquarium up and running it is crucial to test your water regularly and complete regular cleaning and maintenance to prevent disease outbreaks and water quality issues. Why is the ammonia or nitrite not falling to 0mg/l? 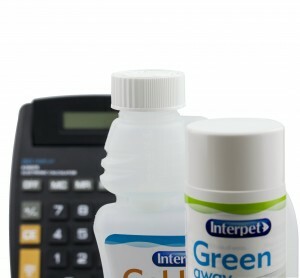 Sometimes, when lots of ammonia is present, it prevents the beneficial bacteria from multiplying. 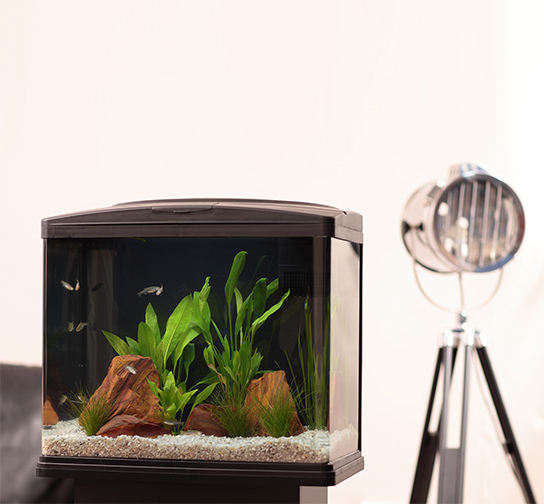 When the beneficial bacteria remove ammonia and nitrite, this causes the aquarium water pH to drop. 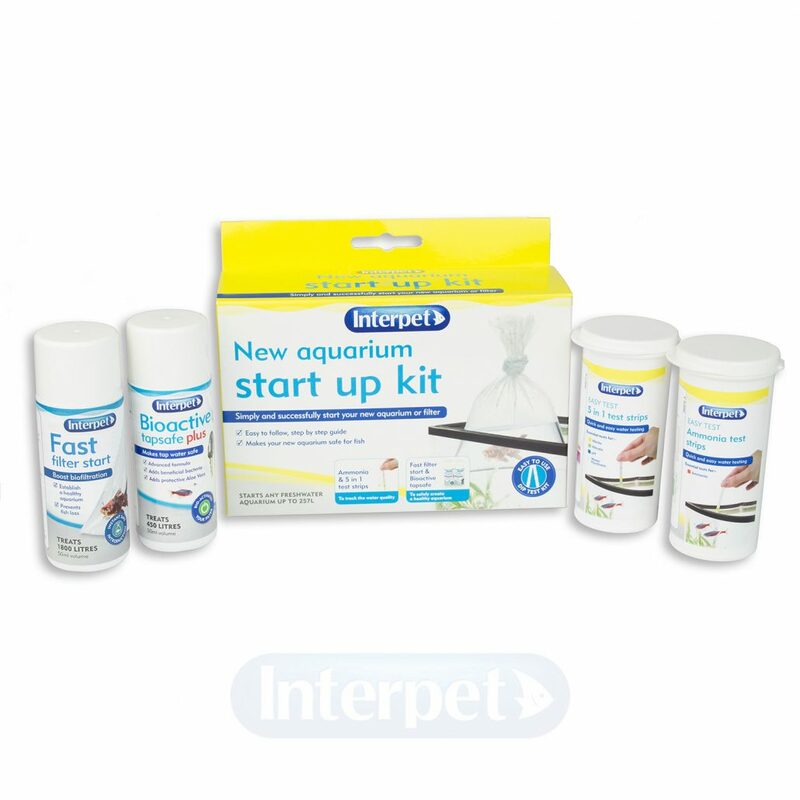 Make sure that the pH has not dropped to 6.4 or below as this will cause nitrification to slow or stop completely. Bacteria require minerals to grow and reproduce. 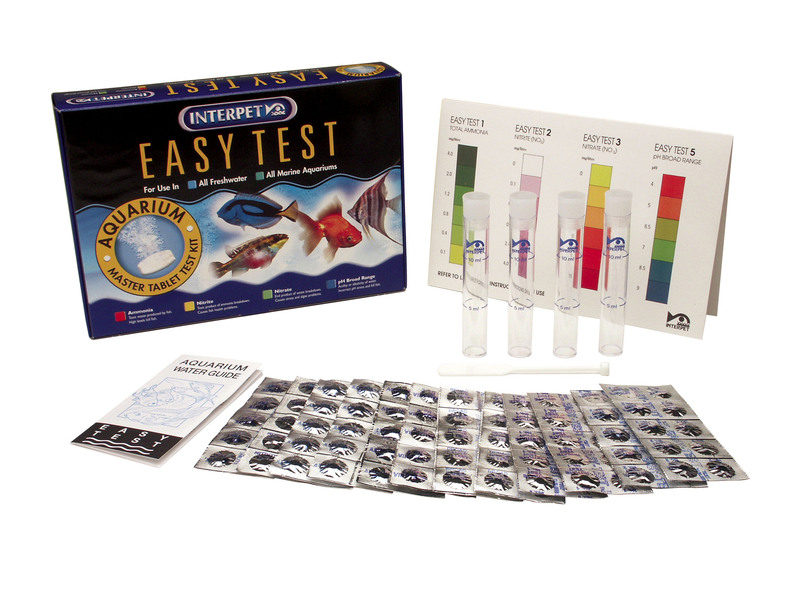 If the water in your aquarium has a KH and GH of 0°dH then this may be preventing the bacteria from multiplying. 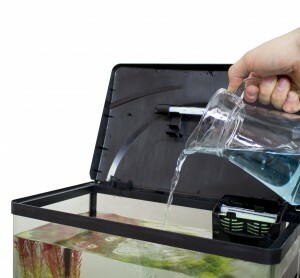 All of these problems can be helped by performing a 25% water change to restart the cycle. Make sure the pH is 6.8-8.0, KH is 3-15°dH and GH is 3-14°dH in the water you are adding, otherwise it will not help to solve the problem. Why is my nitrate really high already? 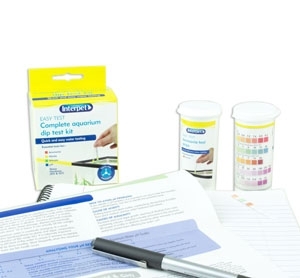 Because of the nature of how the test strips work, when an elevated amount of nitrite is present it will falsely show that there is a significant amount of nitrate present also. Ignore the nitrate results until nitrite has returned to 0mg/l. 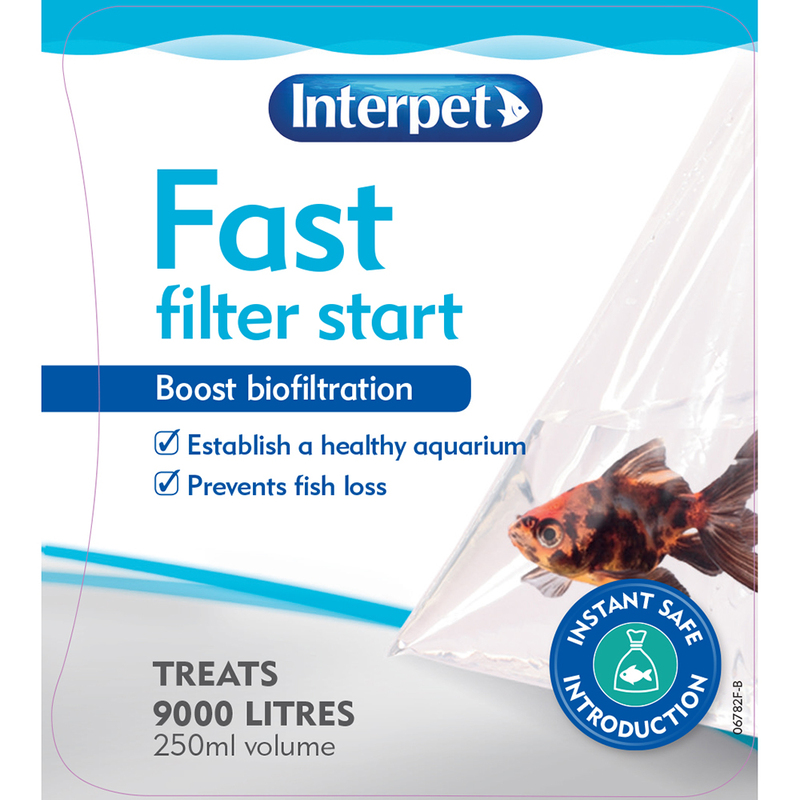 If you have further questions, please take your results to a good aquatic retailer who can give you further advice on why the cycle is stalling or contact customer care at customercare@interpet.co.uk.